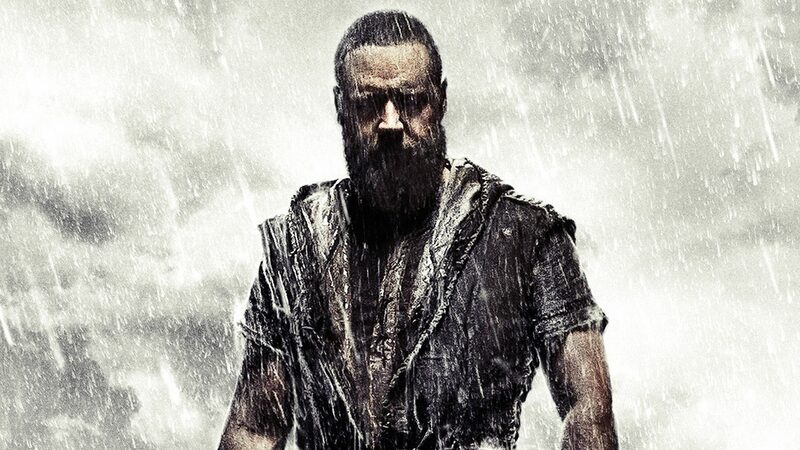 As with any movie based on a biblical narrative the movie, Noah, has been surrounded by a large amount of controversy. Those who have seen the movie, or even simply have heard about the movie, have had varying responses. A major flaw in the perspective of some viewers is the failure in their response to interact with the message presented. However, the worldview and theme of a movie are essential elements of critically analyzing its value. Therefore, in order for Noah to receive fair treatment, an examination of its worldview and message must be conducted by the audience. This article will attempt to conduct such an examination and show Noah to have particular value to the discussion of humanity. Noah’s view of humanity can be boiled down to one simple phrase, “humans are unworthy, but they are full of worth.” This simple principle shapes the focus of the entire movie. Instead of presenting an image of humans as “basically good” or “purely evil,” Aronofsky presents a more complex image of humanity; one that is more honest to the human condition. So, as the movie progresses through its multiple stages, each part will work toward creating this complex picture of the human reality. First, is the principle that humans are unworthy. There are two major scenes that develop this principle. The first is Noah’s trip to the human camp. In one of the most shocking scenes in the moving, the audience is shown the full depths of human depravity. Young girls are being kidnapped and traded into slavery for meat, violence and murder are rampant, and sheer chaos rules the streets. Aronofsky’s imagery here is able to portray the darkness that is human depravity. From this portrait of depravity the understanding of humanity’s unworthiness becomes clear. In a particularly poignant part of this seen, Noah runs across a man eating a morsel of meat. The man in this scene is deformed by his life with this depraved humanity. An onlooker may possibly call him beastly, possibly even demonic, but it would seem almost a stretch to call him human. This deformed image is a crucial element to Aronofsky’s principle of mankind’s unworthiness. Humanities sins don’t just hurt them, they twist them and deform them until all that is left is a faint shadow of humanity. If humans are not living up to what it means to be human, they fail to be worthy of their own name. Therefore, humans, are in, fact unworthy creatures. This is the resounding message of Noah’s visit to the camp. However, that declaration of unworthiness is external. What would create a greater impact would be a character having self-realization about his own unworthiness. Fortunately, Aronofsky provides this in the main character, Noah. The second scene about mankind’s unworthiness occurs during a discussion between Noah and his wife. While his wife is attempting to portray her family as deserving to live, Noah begins to lay out all the sins of which each member of his family is guilty. In this moment, Noah is able to shatter the unrealistically positive view that individuals have of themselves. He is able to clearly see at this point that it is not simply “humanity” that is unworthy. Noah himself, at a personal level is unworthy. And it is at this point that Aronofsky invites the audience to begin self-reflection. If Noah, a biblical “hero,” recognizes his own unworthiness, how can any man attempt to deny his own? In response to this understanding, Noah commits himself to the “plan” he believes that the Creator has for the Earth. He attempts to strip away all mercy and weakness in his heart in order to fulfill his mission. Because he sees humans as unworthy, Noah does not hesitate to abandon an innocent girl to be trampled to death, he shows no remorse that his family will be the last humans alive, and he has no shame in threatening to kill his own family (including baby twins). It is clear then, that Noah has fully embraced the image of unworthiness that Aronofsky wished to portray. However, the unworthiness that Noah sees is only half of the truth. Noah’s key shortcoming, as presented in this movie, is that he fails to see the other half of the human condition. While Aronofsky is diligent in presenting humanity as unworthy, he understands that there is more to humanity. Humans may be unworthy, but they are also full of worth. To put another way, the unworthiness of humans does not cloud the fact they are something worth saving and redeeming. There are two parts of the movie that clearly develop this latter half of the human condition. 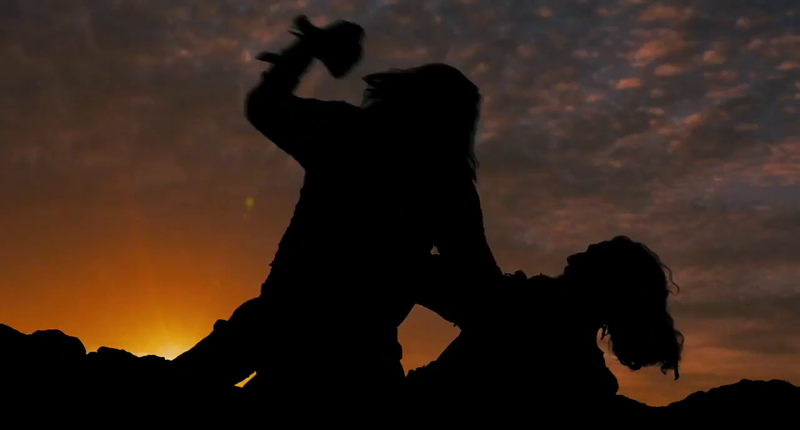 The first key scene is Noah’s decision not to kill his granddaughters. Up to this point on the Ark, Noah has been unrelenting about his desire to kill the newborn baby if it was a girl. Driven mad by a half-complete image of humanity, Noah is determined to prevent mankind from continuing, despite the cost. Regardless of this steadfast determination, when the time came to kill the girls, Noah was unable to complete the task. His commitment to the mission became impotent with one look at the faces of his granddaughters. Noah seems to have recognized the quality in his granddaughters that made them worth sparing. But what was this quality that Noah saw? The final discussion between Noah and his daughter-in-law, Ila, serves to provide Aronofsky’s answer to that question. When Noah was asked why he spared the babies, he simply answered “I looked down at those two little girls and all I had in my heart was love.” And while Noah believed that this love was his failure to the Creator, Ila explains that it was this choice of love that was given to him by the Creator. At this point, the whole message of the movie comes full circle. While Aronofsky spent the first half of the movie showing the unworthiness of humans, he ends the movie with the revelation that they are full of worth because they are beloved. To be clear, it is not the human’s capacity to love that makes them worth saving (because it was not Noah’s worth on the line but the children’s). Instead, it is the fact that humans are loved that makes them worth saving. This brings Aronofsky into the age old tradition of understanding that it is not beauty that makes something lovely, but the being loved that makes something beautiful. The conclusion to Aronofsky’s movie is this beautifully complex image of the human condition. There should be no doubts that humans are unworthy, their evil deeds distorting them even to the point of seeming inhuman. The man who would deny this, Aronofsky shows, is in need of self-reflection. On the other hand, for a human to think he is worthless would be utterly wrong. On the contrary, humans are full of worth because they are loved and this love makes them worth saving and redeeming. Through his movie, therefore, Aronofsky reveals that to hold either side of the human condition without the other is a failure to see humans are they are. Let me begin this last section with a preface. 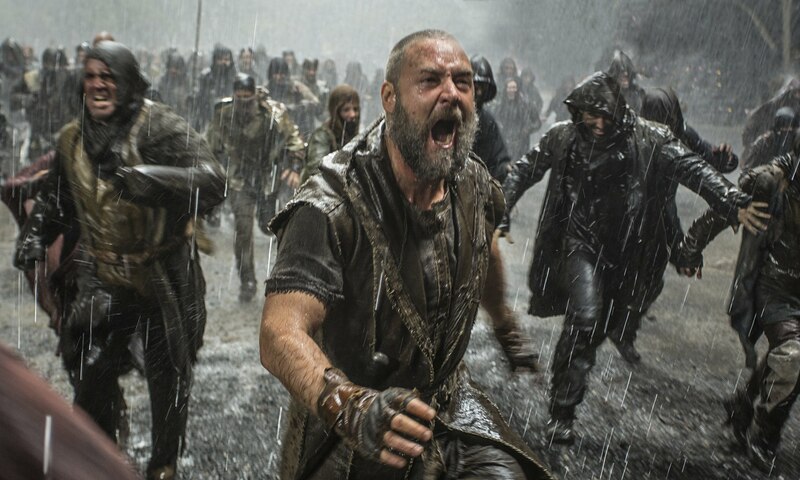 While I am thrilled to have anybody read my article, I feel that the primary purpose of this article is to show Christians how a movie such as Noah is valuable in discussing the Gospel. To finalize this goal, the remainder of the article will be dedicated to a quick examination of how a Christian might bridge the gap between the message Aronofsky’s presents and the message of the Gospel. To see the connection between these two messages, there are two main categories of verses that need to be known. The first set, with verses such as Roman 3:23, Ephesians 2:1-3, and Romans 3: 10, is the series of verses that describe the sinful state of man. One of Aronofsky’s biggest achievements in this movie was his ability to force the audience to address their own wickedness within. At these points in the movie, it would be a failure to receive Aronofsky’s message to be shocked by mankind’s wickedness as if viewing from the outside. Noah’s trip to the camp was not in order to that he might see other people’s wickedness, it was so he could see his own. At this point, Christians have a great starting point. Any unbeliever that is willing to discuss this movie, should quickly be challenged (by the movie or his Christian friend) to examine his own personal wickedness. If they can encounter their personal wickedness, they can realize the truth that Aronofsky’s presents: personal unworthiness. While man would like to see himself as “good enough,” a deeper look would shatter this illusion. Once a man realizes, like Noah, that he is a participant in the evil of humanity, he would be hard-pressed to see himself as a worthy human. He is just as deformed and depraved as any of the men shown in this film. There is no logical reason that such a person could believe that he could earn his worthiness. He is inherently unworthy. Fortunately that is not the end of the story for the unbeliever. The story is further progressed in the second set of verses. This set of verses, containing Romans 6:23, Ephesians 2:4-5, and Romans 5:6-8, provides the answer to the problem of humanity’s unworthiness. To be clear, if humanity is inherently unworthy (as established above) then humanity is in desperate need of something else to make it worthy. This is exactly where Christianity steps in. While man-made ways to salvation (religion, personal morality, etc.) attempt to have man prove himself worthy, Christianity recognizes the unworthiness that cannot be removed in man and offers another solution. This solution is in the same manner as Noah’s reason for not killing his granddaughters. Just as Noah looked upon the infants and his loved prevented them from killing, God’s love for man made him long to save them from his wrath. In other words, man is unworthy but God’s love makes humans worth saving and redeeming. While there are key differences between Noah’s act of restraint and God’s act of sacrificing himself in the form of Christ, there is a clear connection within the theme of “saving love.” Therefore, this is an excellent point from which the Gospel can be presented. 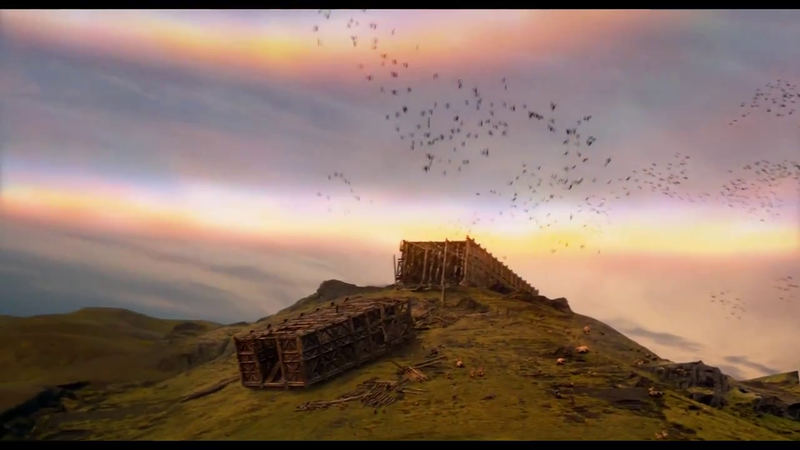 In conclusion, Aronofsky’s Noah presents a realistically complex view of human nature. Instead of straying to one extreme (purely good or purely evil), Aronofsky is able to present a portrait of mankind that is truthfully unworthy, while still maintaining the abundance of worth found in being loved. This presents an excellent opportunity for people to consider their own part in this dynamic reality of “unworthy, but full of worthy.” In the end, therefore Noah is a valuable movie for discussing the reality of the human condition.